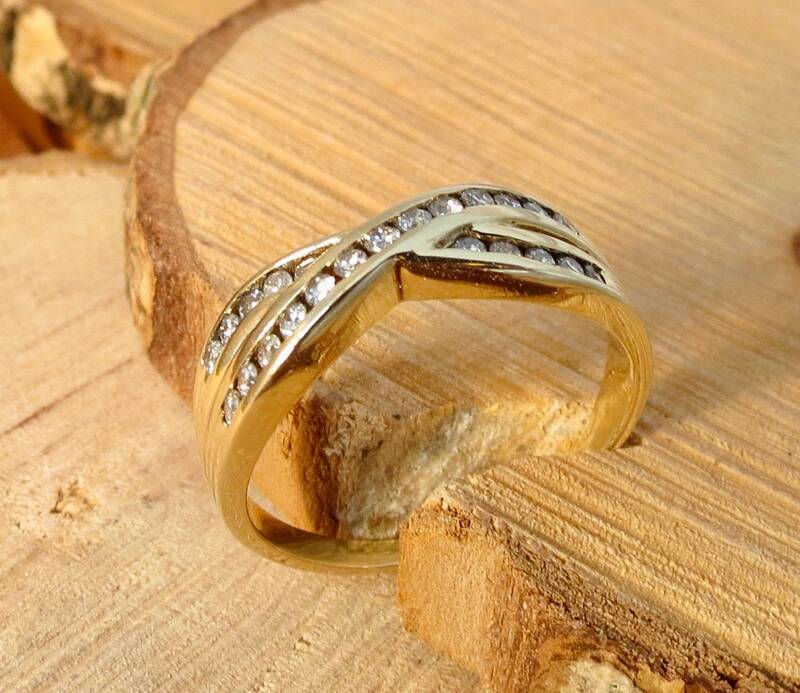 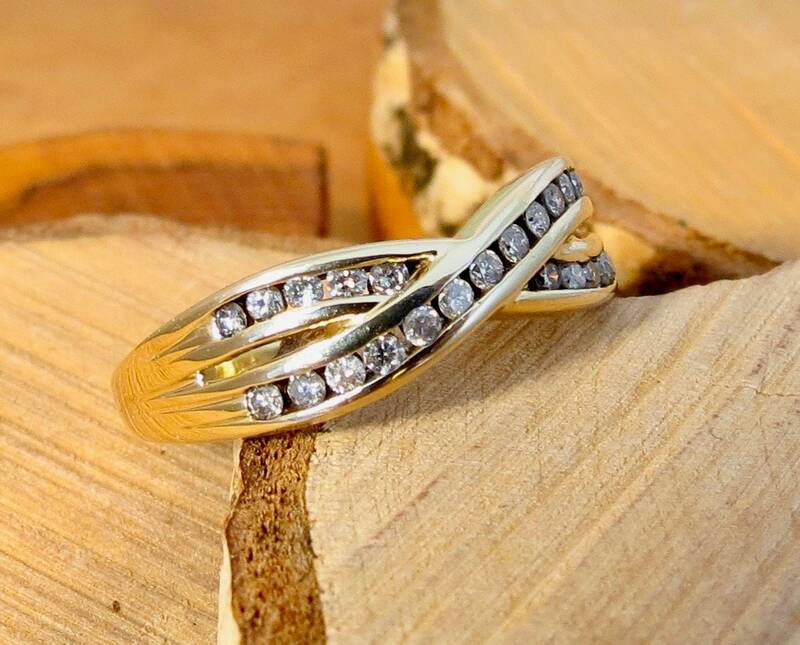 1/4 Carat of diamonds in a 9K yellow gold crossover ring. 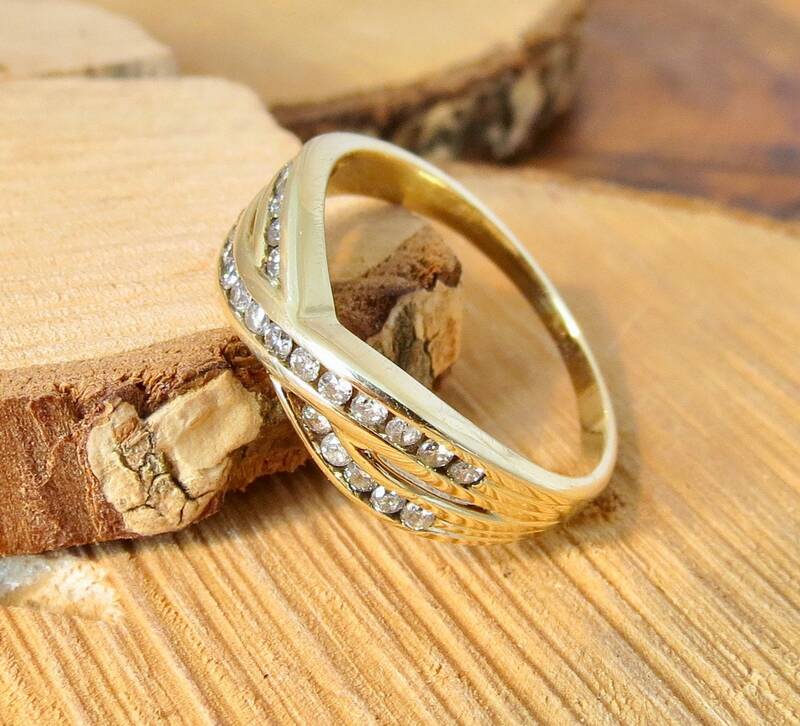 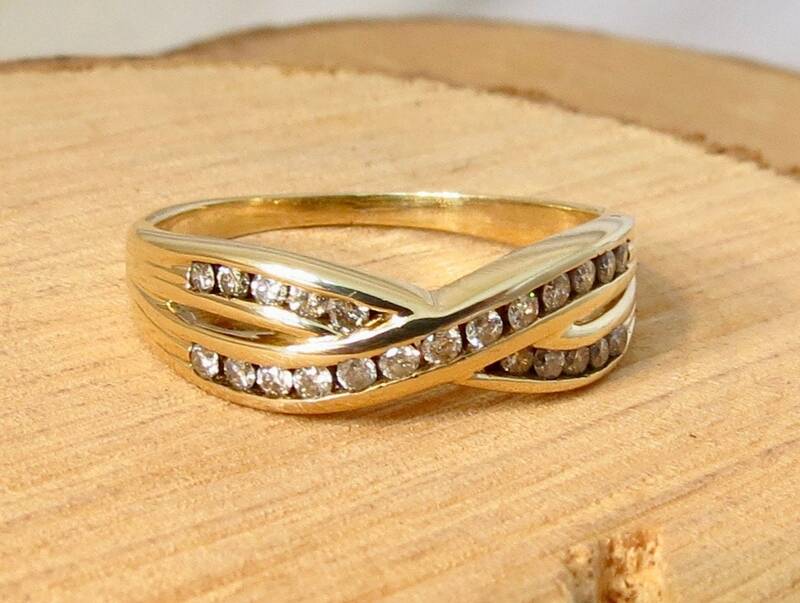 This 9K yellow gold crossover ring has 0.25 carat of brilliant cut diamonds mounted in a channel setting. 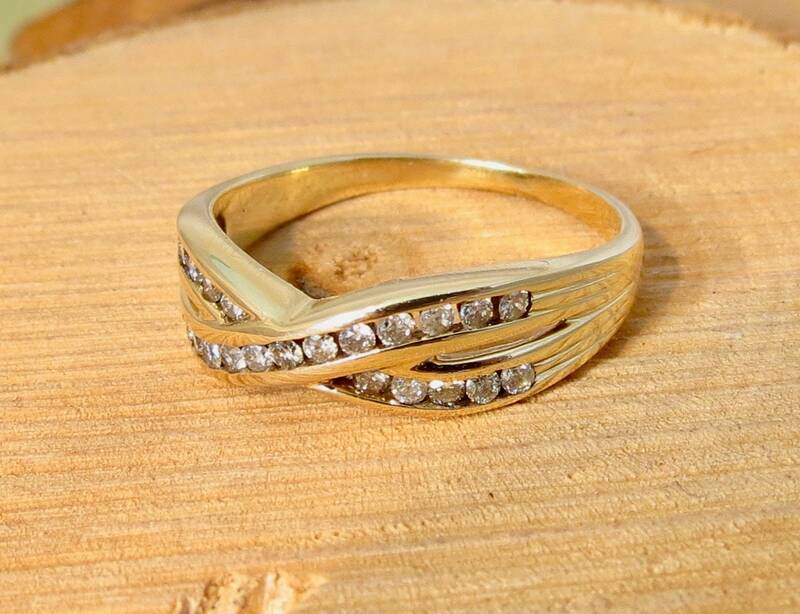 The setting leads to a narrow shank. 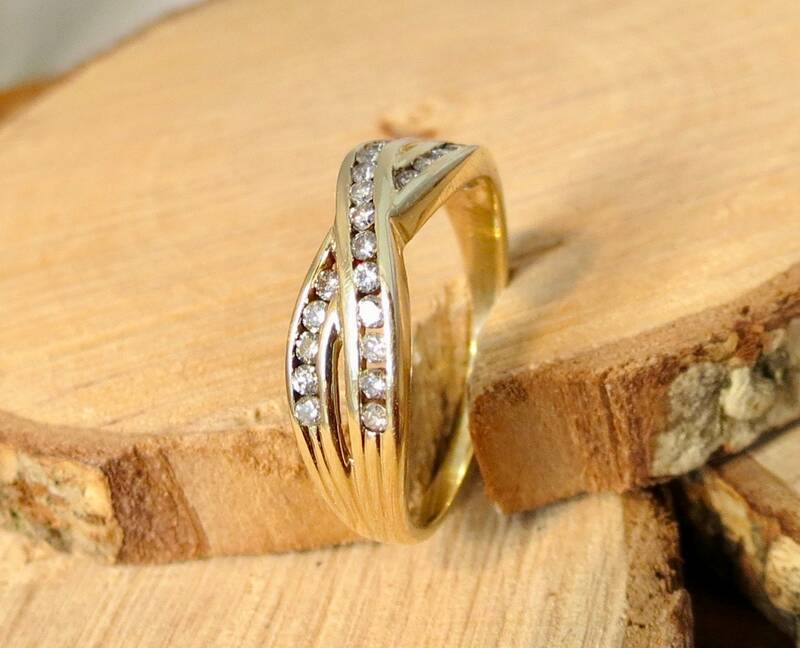 English hallmarks, 9k yellow gold, London England. 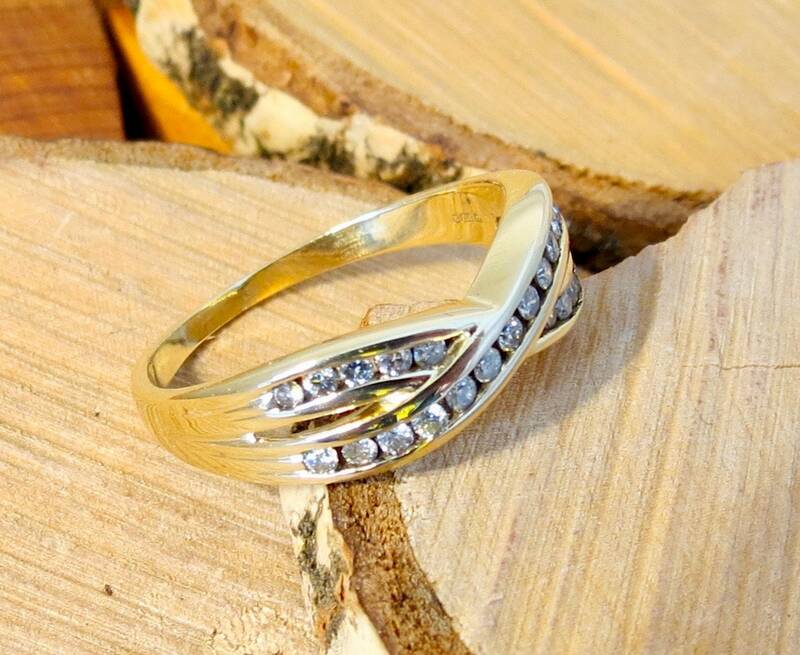 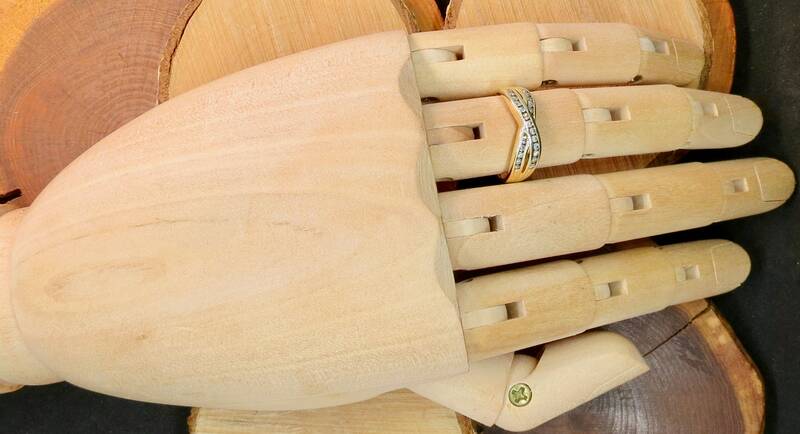 This ring can be resized just a few sizes. 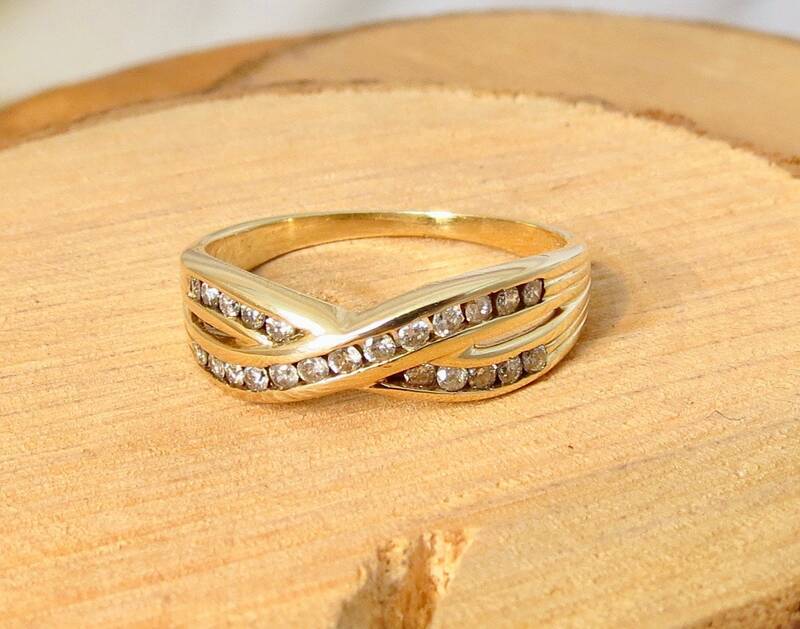 I can have my goldsmith resize it for you at an additional cost from £20 ($30).